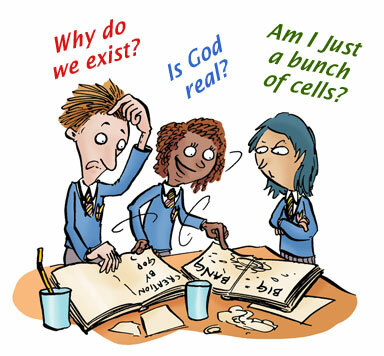 LASAR (Learning about Science and Religion) is a collaborative project between the Faraday Institute for Science and Religion (based at St. Edmund’s College, Cambridge) and the Institute of Education, Reading University. The LASAR Project was motivated by a concern that there is a strong public perception (reinforced by some popular media) that science and religion are in some sense opposites, that is that science is an atheistic activity. In particular, we were concerned that school pupils may come to accept this as a normative standard: something that is both incorrect, and which could deter students who hold religious faith form considering science as a suitable basis of future study and career. Such an effect would not only be unfortunate when there is widespread concern about the limited numbers of young people seriously considering science careers, but in principle could set up a self-fulfilling prophecy. If people of faith are significantly deterred from science, then science could over time become dominated by atheists! LASAR is looking at this issue from two complementary directions. We are conducting research which will help us find out more about exactly what secondary age students do think about science and religion, something of the factors which they feel influence their views, and how their ideas shift over time. We are also developing a website, www.FaradaySchools.com with curriculum materials and approaches which can support teachers in engaging secondary age pupils in the area of science and religion. In this way we hope to make sure that there are sufficient accessible and balanced presentations to help pupils to recognise that this is a nuanced area where there are no simple answers (so scientists hold a wide range of faith positions and views on religious matters), and offer them interesting resources to stimulate their own thinking in this area. The director of the Faraday Institute is Dr Denis Alexander.